Lets Go Mountaineers . . .
Everyone in West Virginia is excited about the start of the WVU college football season. There is a a lot of buzz about the Mountaineers, its #3 AP ranking and Heisman hopefuls, Steve Slaton and Pat White (check out his Pitt growl). Good luck to the Mountaineers as they start there season this weekend. Go Mountaineers and their #1 rated fans! This clip is a year old but I just saw it after my dad sent it to me. What a great commercial. For those of you who don't get the commercial check out this Google search. On November 13, 2007, I will be speaking at a Lorman Eduational Services seminar to be held in Charleston, West Virginia. The seminar topic is "Health Care Information Privacy and Security Monitoring, Audits and Investigations: How to avoid an investigation and what you should expect if the state or federal officials call". You can register online here. Jack Shaffer, CIO for the Community Health Network of West Virginia who has experience in all aspects of technology, including systems development, enterprise application integration, networking, telecommunications, data center operations, database administration, disaster recovery, security and mobile computing. Michael T. Harmon, CIPP/G, and Jack L. Shaffer Jr.
Our state receives a lot of negative national news - lately its been about the business climate and our weight problem. However, here is the reason I live in and love West Virginia. Another terrific shot (large image) from local photo blogger, Rick Lee. Today CMS released the final Stark III physician self-referral rule available on the Physician Self Referral section of the CMS website and will be published in the September 5 Federal Register. 516 pages of light health care regulatory reading for the Labor Day Holiday. The Phase III Stark Final Rule (CMS-1810-F) is officially titled, "Medicare Program; Physicians' Referrals to Health Care Entities With Which They Have Financial Relationships (Phase III)". The regulations will be effective 90 days after the publication date which is expected to be September 5, 2007. Read the CMS press release. UPDATE: CMS has also provided an unofficial redline version of the Stark regulations showing the existing regulations and incorporating in the new Stark III changes. UPDATE (7/5/07): The official version was published in the Federal Register on September 5, 2007. A complete copy of the regulations can be found here. The effective date of Phase III Final Rule is December 4, 2007. UPDATE (11/11/07): David Harlow reports that certain provisions of Stark III will be delayed for up to a year (December 4, 2008). Summary: This final rule is the third phase (Phase III) of a final rulemaking amending our regulations regarding the physician self-referral prohibition in section 1877 of the Social Security Act (the Act). Specifically, this rule finalizes, and responds to public comments regarding, the Phase II interim final rule with comment period published on March 26, 2004, which set forth the self-referral prohibition and applicable definitions, interpreted various statutory exceptions to the prohibition, and created additional regulatory exceptions for arrangements that do not pose a risk of program or patient abuse (69 FR 16054). In general, in response to public comments, in this Phase III final rule, we have reduced the regulatory burden on the health care industry through the interpretation of statutory exceptions and modification of the exceptions that were created using the Secretary’s discretionary authority under section 1877(b)(4) of the Act to promulgate exceptions for financial relationships that pose no risk of program or patient abuse. Brian Peterson at his West Virginia Legal Weblog provides insight into the new regulations clarification of physician recruitment agreements and restrictive covenants in physician employment agreements. Thanks to the AHLA Stark Law listserve for the tip on the final rule. Interesting post from the WSJ Health Blog on Medical Justice's new ratings-permission contracts (press release on service).This new service offered by Medical Justice appears designed to attempt to control the evolving growth of health care consumer driven rating information provided through companies like RateMDs.com. According to Medical Justice's CEO the goal is to "regain control of the flow of information." Just more evidence of the dynamic shift we are seeing in the health care industry as a result of some of the health 2.0 initiatives. New models are being developed to allow patient/consumers to rate, report and compare the quality and cost of health care services. As these services become more widely adopted and used by consumers, traditional health care delivery system models and the perceptions of health care professionals are being challenged. Note: Don't miss reading the reader comments in the WSJ Blog post. UPDATE: More from Dr. Val on the potential value of online physician rating. I completely agree with her comment that sometimes all that is available is a "health insurance company's list of in network professionals." A warm welcome to Secretary Mike Leavitt (blog bio) who last week launched his blog at Secretary Mike Leavitt's Blog. It is wonderful to see the United States top health care official join the blogospere and create a vehicle to share his personal observations and have an open conversation about health care and the challenges that that we all face. I am impressed by his goal to keep the blog personal (not relying on staff or the PR department to write his posts) outlined in his About this Blog summary and introductory post. I'm hoping that he enjoys the experience and has the time to continue to blog past his initial trial phase. In my mind he gets the idea behind blogging -- a communication utility which is used to think and understand, share his observations, engage ideas and as he says, create a "dynamic online conversation." These characteristics are what makes blogging something more than just another way to create traditional media/PR web content. It's the reason why I enjoy the blogging process. Question to readers: Is Secretary Leavitt the highest ranking U.S. official to date to have a blog which is personally written? Are there any other Federal Executive Department Secretary level bloggers? Thanks to iHealthBeat for its article announcing Secretary Leavitt's blog. Larry Messina provides the latest on CMS's challenge to the $10M Oxycontin settlement by the West Virginia Attorney General's office against Purdue Pharma. Last month the West Virginia Bureau of Medical Services received from CMS a $4.1M notice of disallowance stating that the state failed to share a portion of the settlement with federal Medicare. Larry Messina's article in today's Herald Dispatch, "Feds threaten $4.1M in Medicaid funds over Oxy Settlement". Dr. Val Jones' road to revolution provides her personal perspective on the current state of our health care system and why we all need to work for change. Don't miss the rest of this week's Grand Rounds hosted at Med Journal Watch. Today's NYT article, Dr. Google and Dr. Microsoft, takes a look at how Google and Microsoft are focusing efforts on the health care industry and how to improve the traditional health care system by utilizing technology to allow patients greater access and control over their personal health information. Both companies are still in the planning phase and trying to determine what will work and what patients might want, use and need. The entry of these two tech giants along with a slew of other health-technology companies are likely to cause disruption in the health marketplace traditionally controlled by historic models (physicians, hospitals, insurers, etc.) Whether there will be enough momentum to bring change and whether patients are willing to trust these new models is the question that has yet to be answered. The article also mentions West Virginia native, David Brailer, former Bush administration National Coordinator for Healthcare Information Technology, who now heads up Health Evolution Partners. Note: Yesterday Matthew Holt posted at The Health Care Blog that Dr. Brailer will be joining the list of speakers at the Health 2.0 Conference to be held next month. Mr. Bosworth of Google will also be on the consumer aggregator panel being moderated by another top health care thinker, Jane Sarasohn-Kahn. 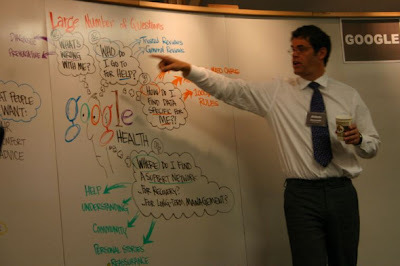 UPDATE: Interested in learning more about Google Health? Check out this post by Jeff O'Conner at the Health Care Information System Blog with links to the Clinical Cases and Images Blog with links to screen shots of the prototype. Also check out what Doc Searls perspective at ProjectVRM Blog. Of course, all the same old data issues have to be worked out - privacy, malpractice, storage, interoperability, and security . . . Plus, there's a little problem with funding and business model (hopefully we will never see a Google banner ad within our medical record!) . . . Make no mistake about it- this is not a continuation of the Google vs. Microsoft War that's been going on for years. This is Google or [insert brave company name here] against the most powerful force of them all: the healthcare industry status quo. Almost Heaven West Virginia eBay. Interesting survey results from Scarborough Research showing that Charleston, West Virginia is the #1 U.S. market for eBay visitors. 41% of adults in Charleston who accessed the internet in the last month are eBay visitors. Skip Lineberg at Maple Creative has some additional thought on what this means for Charleston business? 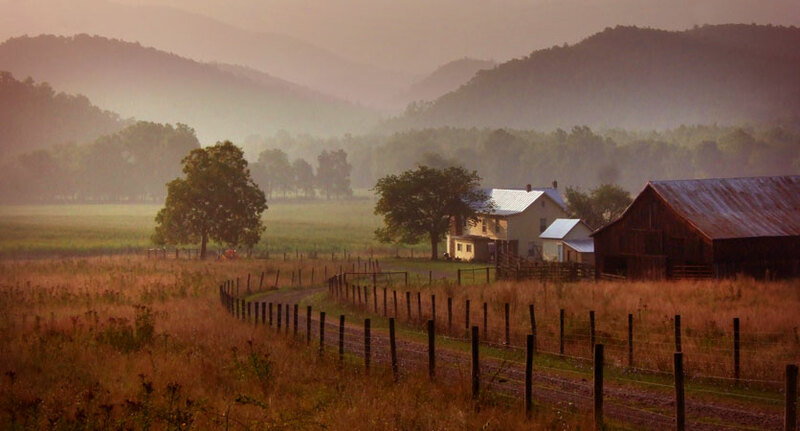 Jeff James at CreateWV provide more commentary in the post, "Is eBay the Killer App to Drive WV Broadband Adoption?"